Charles Jared Ingersoll was a prominent 19th century Philadelphia lawyer, member of Congress and writer. A good friend of Napoleon’s brother Joseph Bonaparte, Ingersoll was known for his lively conversation, his admiration for his country, and his eccentric dress. Charles Jared Ingersoll was born in Philadelphia on October 3, 1782. His father, the lawyer Jared Ingersoll, had been a delegate to the Continental Congress and signed the US Constitution for Pennsylvania. His mother, Elizabeth Pettit, was the daughter of Charles Pettit, a wealthy New Jersey lawyer and merchant who had served as an aide to Governor William Franklin, Benjamin Franklin’s son, and had also been a member of the Continental Congress. One of Ingersoll’s early recollections was of the funeral of Benjamin Franklin in 1790. As might be expected given this background, Ingersoll grew up in a stimulating home. Well-known political figures often visited his father. Ingersoll had several opportunities to observe President George Washington. On at least one occasion, he dined at the presidential table. In 1796 Ingersoll entered Princeton University. His professors “were much struck with his quickness in learning; but he was still very young, was rather lacking in application, and his youthful spirits were at times too strong to bear the restraints of college discipline.” (1) He dropped out after three years. He then studied law under private tutors and was admitted to the Philadelphia bar in June 1802. Ingersoll’s admiration for Napoleonic France was dampened when he witnessed the sudden and apparently causeless arrest of a man by a group of soldiers – something he recounts in Napoleon in America. In later years, influenced by his friendship with Joseph Bonaparte, Ingersoll found redeeming features in the Emperor. 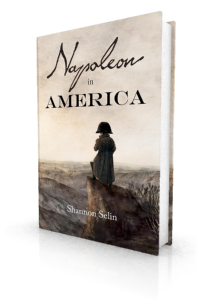 Napoleon, apart from rabid ambition, was a model of domestic, particularly matrimonial virtues, far exceeding most of not only the royalty, but the aristocracy of Europe…. Nor were all the evils of his undeniable despotism so injurious to France as the Bourbon restoration…. Bonaparte, vainest man of the vainest nation, failed in all but what it preferred…. Capable of intense abstraction, with never surpassed reasoning faculty, imbued with mathematical investigation, Bonaparte either never had, or lost the power of patience; had no fortitude, but was a creature of passion; worked, raged, ruled, narrated, and expired prematurely, the most perplexing illustration of the vanity of human wishes. Ingersoll and Mary had nine children: Charles Jr. (born in 1805), Alexander (1807), Harry (1809), John (1811), Benjamin (1813), Elizabeth (1815), Edward (1817), Ann (1822) and Samuel (died in infancy). They made their home in Philadelphia and spent their summers at a 20-acre property called Forest Hill, about four miles north of Germantown, Pennsylvania (it’s now part of Philadelphia). Ingersoll supported the War of 1812 against England. He later wrote a four-volume history of it. Like his father and grandfather, Charles Jared Ingersoll decided to combine his legal career with a political one. He was elected to Congress as a Democratic-Republican for 1813-1815, and served as chairman of the House Committee on the Judiciary. He did not stand for re-election, having been appointed as the US district attorney for Pennsylvania, a position he held from 1815 to 1829. Ingersoll was much in demand as a guest. He was also something to look at. In 1830, Charles Jared Ingersoll served as a member of the Pennsylvania House of Representatives. In 1837, he was a member of the state constitutional convention. After two failed attempts to get elected to Congress (1837 and 1838), he succeeded in 1841. Serving until 1847, he became chairman of the House Committee on Foreign Affairs. 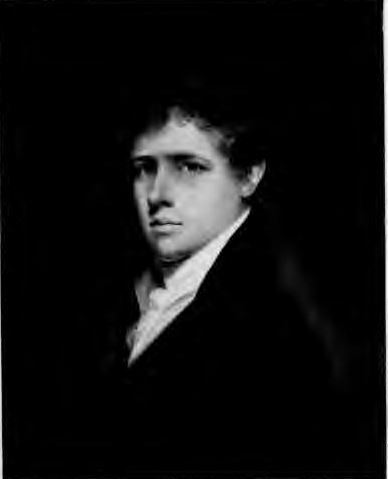 His younger brother Joseph Reed Ingersoll – who was married to Mary’s sister Ann Wilcocks – also served in Congress from 1843-47, as a Whig (Ingersoll was a Democrat). In 1846, Ingersoll charged his political foe, Daniel Webster, the former Secretary of State, with three counts of official misconduct. Webster was exonerated by a House Committee. The following year, Webster led the Senate in turning down President James Polk’s appointment of Ingersoll as US minister to France. Ingersoll retired from political life and devoted his remaining years to writing. Ingersoll’s wife Mary died three months later, on August 28, 1862 at the age of 78. She suffered from a debilitating illness during the last five years of her life. William M. Meigs, The Life of Charles Jared Ingersoll (Philadelphia, 1900), p. 29. Charles Jared Ingersoll, History of the Second War between the United States of America and Great Britain, Second Series, Vol. 1 (Philadelphia, 1853), p. 142. Meigs, The Life of Charles Jared Ingersoll, p. 38. Sarah Mytton Maury, The Statesmen of America in 1846 (London, 1847), pp. 313-315. Meigs, The Life of Charles Jared Ingersoll, p. 310 (quoting an article published in 1841). Ingersoll, History of the Second War between the United States of America and Great Britain, Second Series, Vol. 1, pp. 416-17. Proceedings of the American Philosophical Society Held at Philadelphia for Promoting Useful Knowledge, Vol. IX (Philadelphia, 1865), p. 270. Sidney George Fisher, A Philadelphia Perspective: The Civil War Diary of Sidney George Fisher, edited by Jonathan White (New York, 2007), p. 149. He has no secrets, and can keep none; the only error in his nature being an uncontrollable impulse to utter at once, regardless of time and place, the thing he feels or knows or even suspects.